High Neck Chain Trim Swimsuit is rated 5.0 out of 5 by 1. Make a style statement in this metallic bronze swimsuit. 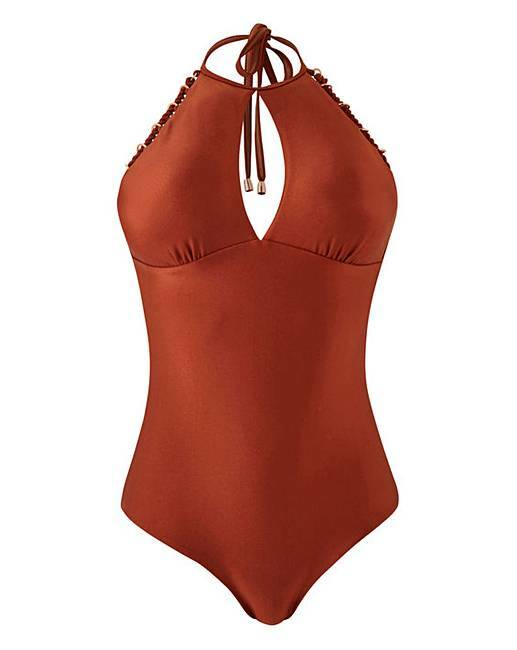 Featuring rope detail and removable foam cups, this swimsuit is perfect to add to your summer suitcase. With added low back detail, this flattering swimsuit will definitely become one of your new favourites! Rated 5 out of 5 by Sheila59 from Special holiday This swim suit is a really nice fit I'm pleased with, quite slimming good fit.